"Lipoclean" or "lipodystrophy" - these are terms used by experts, labeling a professional language that people call cellulite. Most physicians do not see this as a problem and do not consider cellulite to diseases. But on the eve of the beach season, many women are wondering how to get rid of cellulite. Before to combat the problem is to understand what cellulite – the esthetic defect or pathology. It is noteworthy that the cellulite to for some time, before 1973 generally not considered a defect. For the first time as the problem outlined Nicole Ronsard, owner of a beauty salon and the pages of the newspaper Vogue urged to get rid of these lumps, knobs and bumps". It is unlikely that you've met men with "orange" skin, this is a purely female problem and it is caused by the action of estrogens. What happens to fat cells under the influence of female hormones? They increase, but locally, in adipose tissue it disturbs microcirculation. Waste products of the cells are not output, fat accumulates rapidly, cells absorb wastes, toxins, and liquid. Against this background, there is swelling, the metabolism slows down. It is obvious that these symptoms say that cellulite is not only an aesthetic problem, but also a signal of the body about the failure in his work. After learning the causes of the problem becomes clear: to get rid of cellulite, cosmetic external impacts is insufficient, the necessary package of measures. You need to improve metabolism, blood circulation, skin tone, strengthen muscles and get rid of excess weight. Speaking of excess weight: cellulite is not always a problem with larger women, slim does not guarantee its absence. 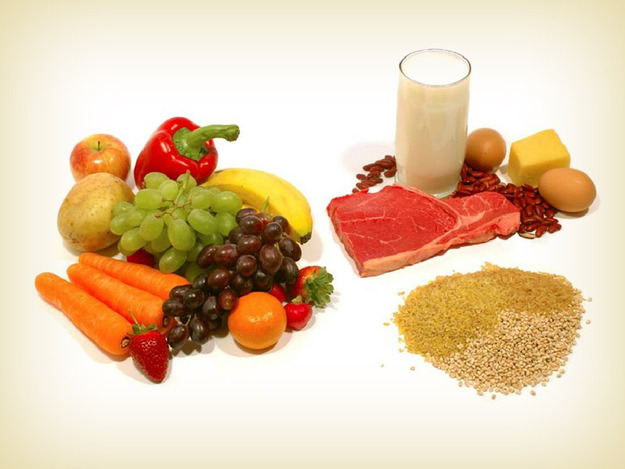 To begin combating cellulite you need inside and the first thing to change is diet. First, eliminate or minimize in your diet foods that trigger cellulite. Remove all the salty and spicy: pickles, smoked meat, chips, crackers, and herring. They do not allow to excrete fluid. Processing of food must also be considered: eliminate roasting. If all of this did not get done, cook only on the grill without oil or with minimal quantity. Fluid retention cause black tea and instant coffee, but because the beauty of them also have to give. Replace the instant coffee taste, but in small quantities. A morning Cup is enough for the day. And certainly, for anybody not a secret that the growth of fat cells contributes to fatty and sugary food. The enemy of female beauty – the alcohol. Under its influence the skin is aging rapidly, maybe this is happening because of the destruction of the vitamin. In the first place fruits and vegetables, they accelerate the metabolism to break down fats. Daily diet for at least half must consist of exactly one of them. Water, plain still water. Drink as much as possible, it is good to start your day with a glass of warm water. The skin become supple and more elastic helps foods high in potassium, because this trace element helps to withdraw the liquid. But because eat black bread, milk, legumes, dried fruits. Improve blood circulation and skin elasticity vitamin E contained in vegetable oils, especially in linseed and olive, and eggs. Seaweed and seafood, more minerals and antioxidants they contain, rid the body of toxins, increase the elasticity of the skin. Food rich in fiber and micronutrients will improve metabolism, digestion, purify the body. All this said about kas, please pay special attention to the oat. To avoid overeating, split the meals into more, but the portions and consequently should be reduced. Eat 5-6 times a day, at night try not to overeat: it will be enough fruit, can be poultry or Cup of yogurt. Not everyone sees the relationship between clothing and the appearance of cellulite. But squeezing the superficial veins of the slimming garment, pressing on the abdomen and thighs, provoking its appearance. And because the clothes have to be comfortable. Such can not be considered spanx, corsets, skinny jeans. Health and heels things are generally a bad combination, because the latter impede the flow of blood and farewell to the elastic skin on the thighs. The only exception is the option of changing the height of the heel, this will be good practice for vessels. All sports harmful as a sedentary lifestyle. Just move more. If you can walk, do it, give up the Elevator, ride a bike. If I had to walk to work is inconvenient or you have limited time – run in the evenings, or just walk around, not sit at home in front of the TV or computer. Without physical activity to get rid of cellulite is simply unrealistic. If to speak about the package of measures in the fight against cellulite, then naturally it is worth to mention massage, anti-cellulite cosmetics, body wraps. Less popular thalassotherapy, mesotherapy, ozone therapy. All this procedures are expensive, giving effect only for a short time, to secure the result they need to carry out systematically. But without adherence to a healthy lifestyle, proper nutrition, physical activity to get rid of cellulite only by using such measures is impossible. If you go into the details, we absolutely get rid of cellulite impossible. It can only be zanibellato, significantly reduced, to make invisible. But any failure, violation of the above rules will return you to the previous state. However, to go back to having luxury in addition to beautiful toned body a huge bonus in the form of health, it is unlikely that someone will want.